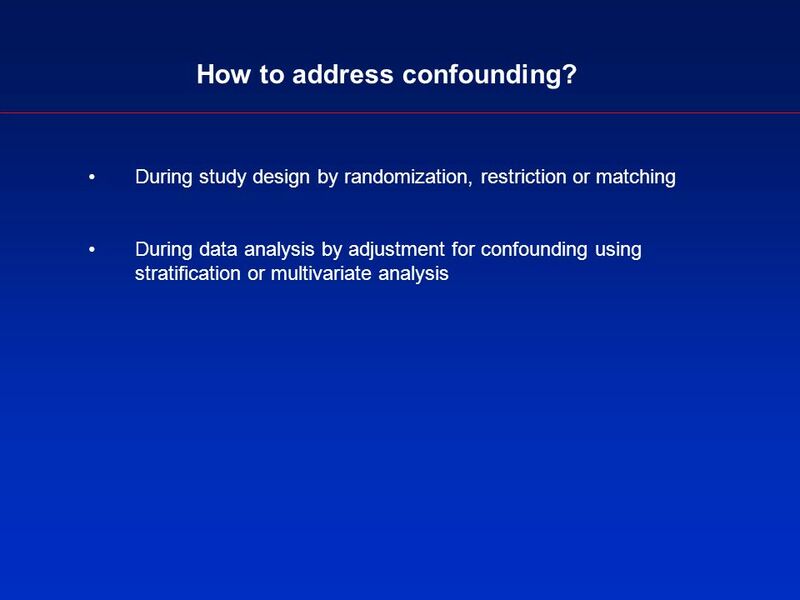 Confounding: what it is and how to deal with it Kitty J. Jager¹, Carmine Zoccali 2, Alison MacLeod 3 and Friedo W. Dekker 1,4 1 ERA–EDTA Registry, Dept. 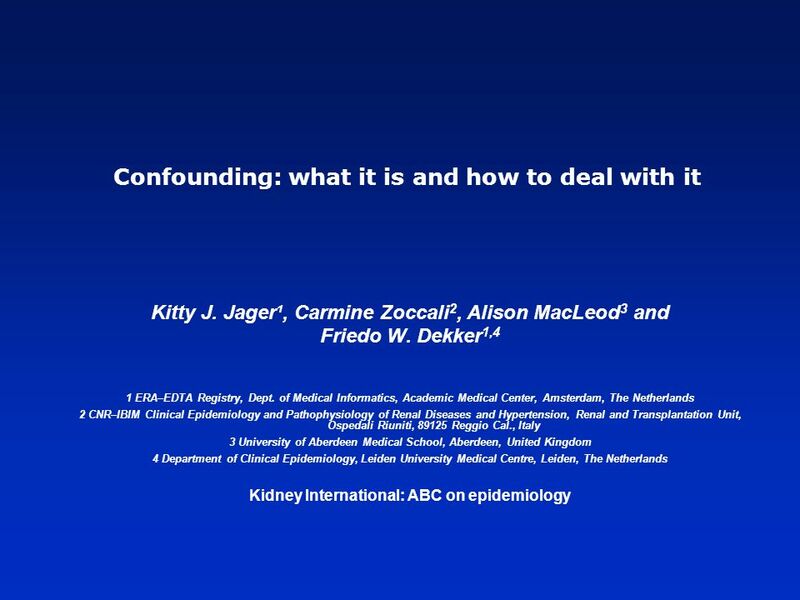 Download ppt "Confounding: what it is and how to deal with it Kitty J. Jager¹, Carmine Zoccali 2, Alison MacLeod 3 and Friedo W. Dekker 1,4 1 ERA–EDTA Registry, Dept." 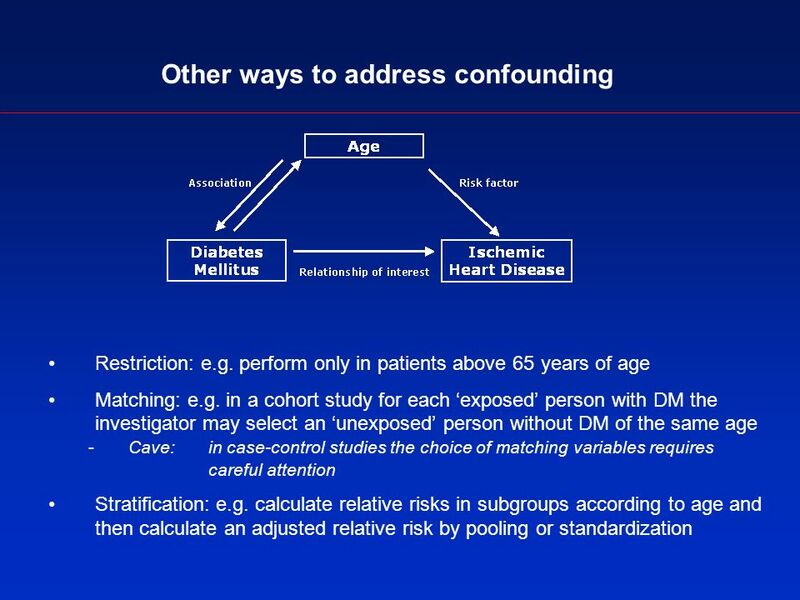 Measures of effect: relative risks, odds ratios, risk difference and number needed to treat Giovanni Tripepi, Kitty J. Jager 1, Friedo W. Dekker 1,2, Christoph. 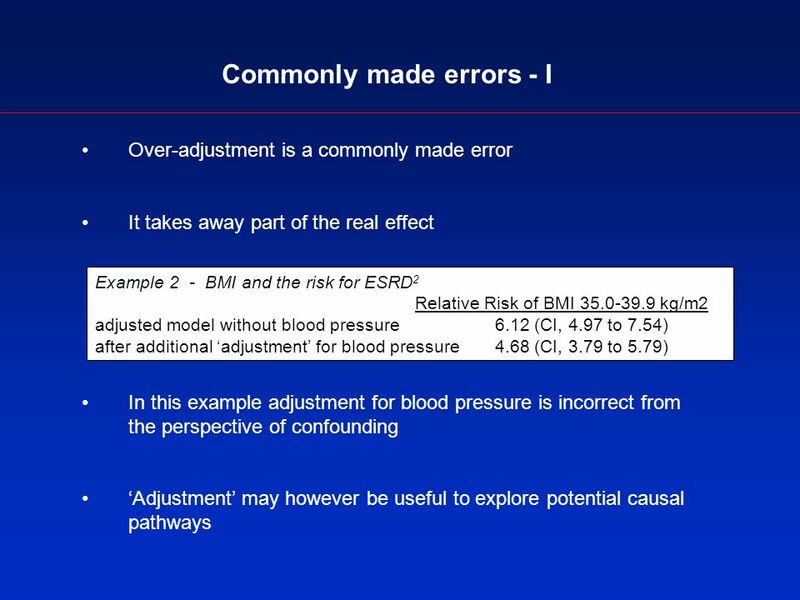 The valuable contribution of observational studies to nephrology Kitty J. Jager¹, Vianda S. Stel¹, Christoph Wanner², Carmine Zoccali³ and Friedo W. Dekker. 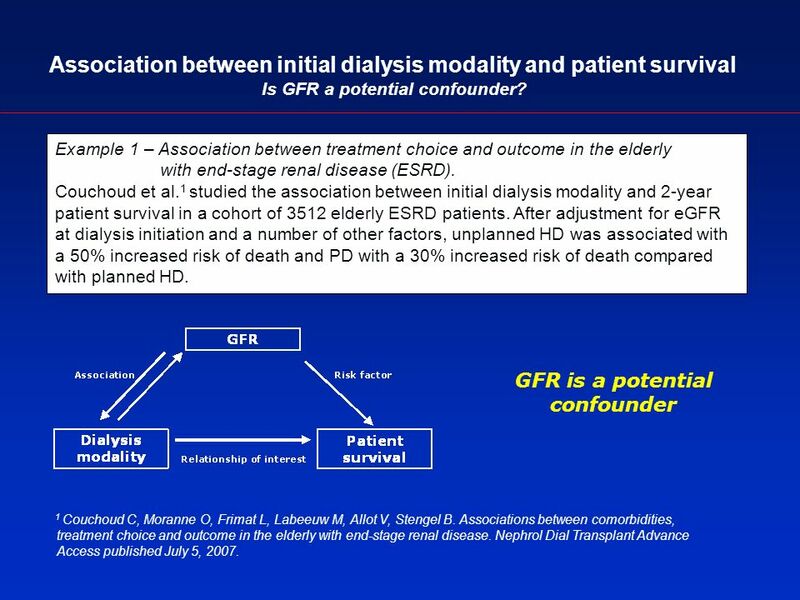 The analysis of survival data in nephrology. 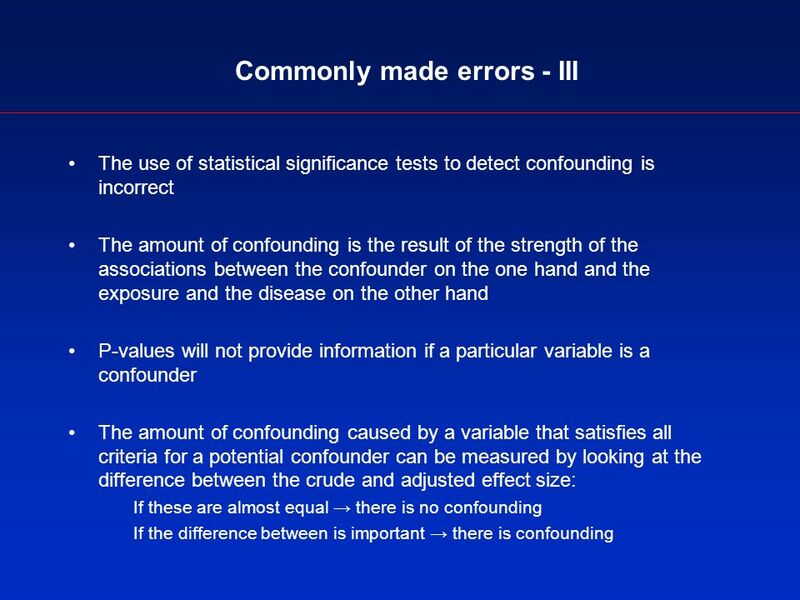 Basic concepts and methods of Cox regression Paul C. van Dijk 1-2, Kitty J. Jager 1, Aeilko H. Zwinderman. 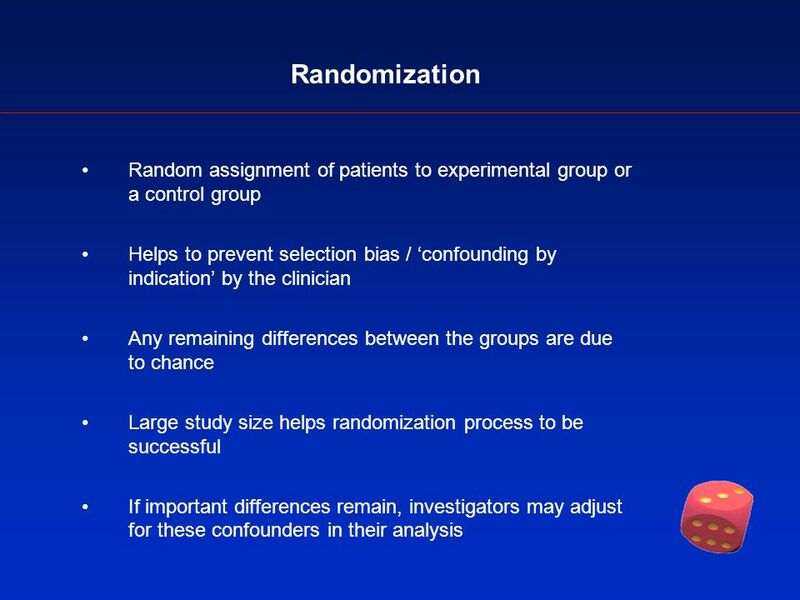 The randomized clinical trial: an unbeatable standard in clinical research? Vianda S. Stel¹, Kitty J. Jager¹, Carmine Zoccali², Christoph Wanner³, Friedo. ESPN/ERA-EDTA registry Karlijn van Stralen Enrico Verrina, Jane Tizard, Kitty Jager Status. 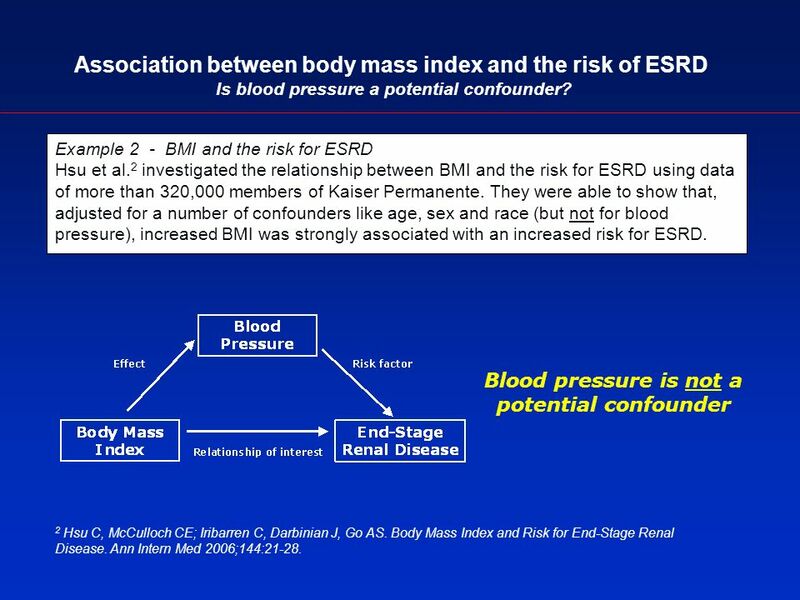 Multicenter database of clinical course of CKD patients Internal Medicine Jang Hye Ryoun. 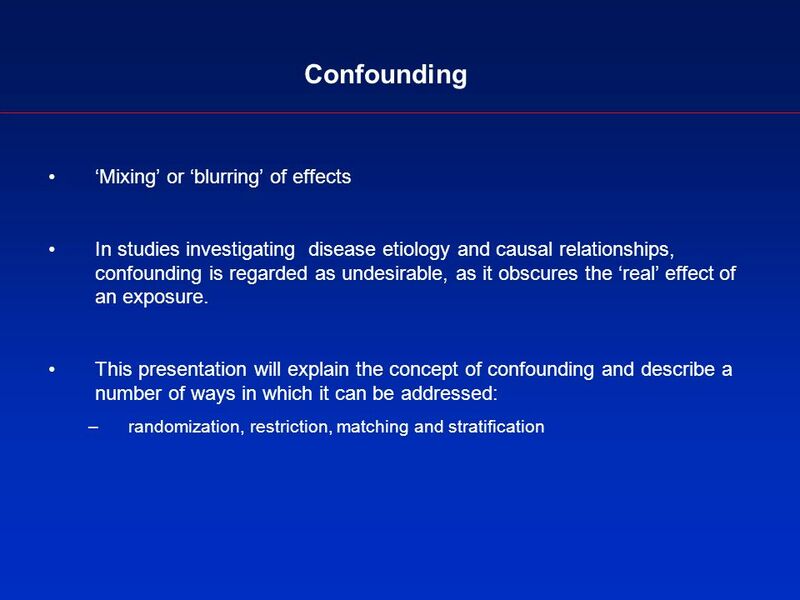 How would you explain the smoking paradox. Smokers fair better after an infarction in hospital than non-smokers. This apparently disagrees with the view. 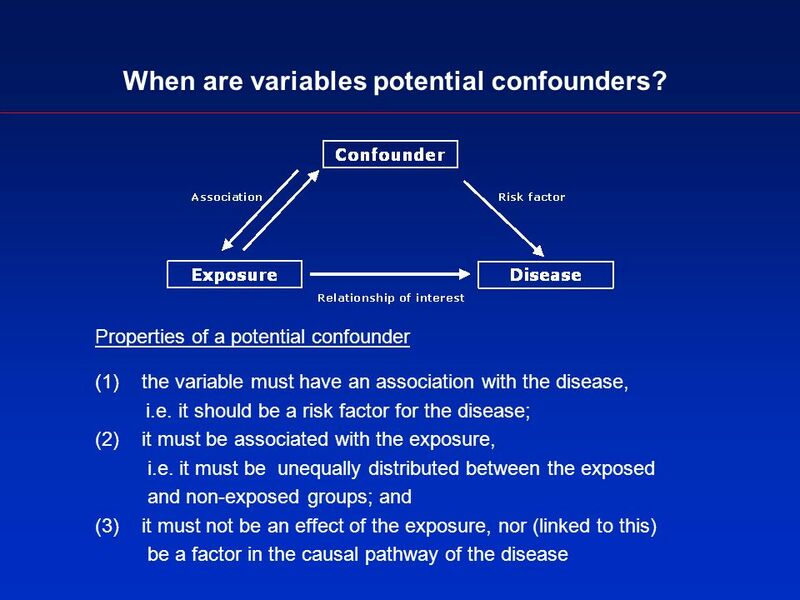 Deriving Biological Inferences From Epidemiologic Studies. 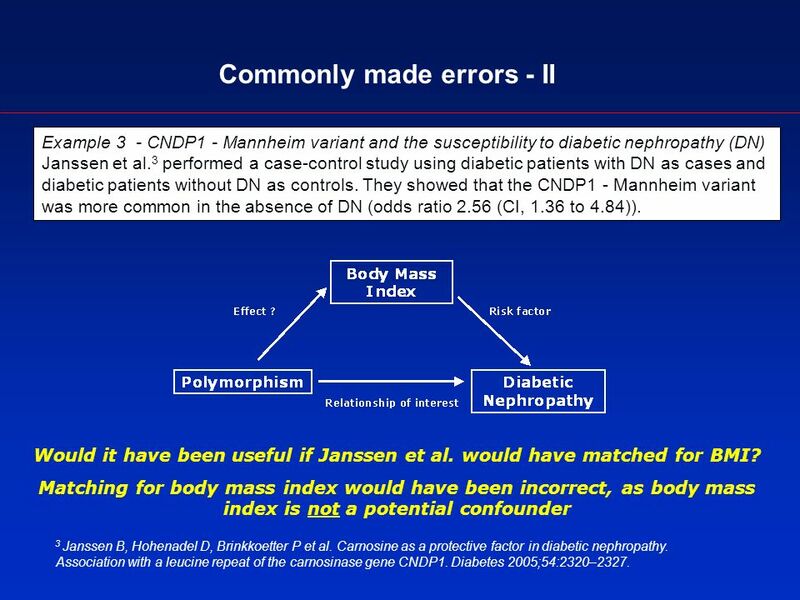 This Power Point presentation belongs to the Danish Renal Registry, which owns the copyright. It can be freely used for non-commercial study and educational. Use of routine care data in research Marit Eika Jørgensen, Chief Physician Bendix Carstensen, Senior Statistician. 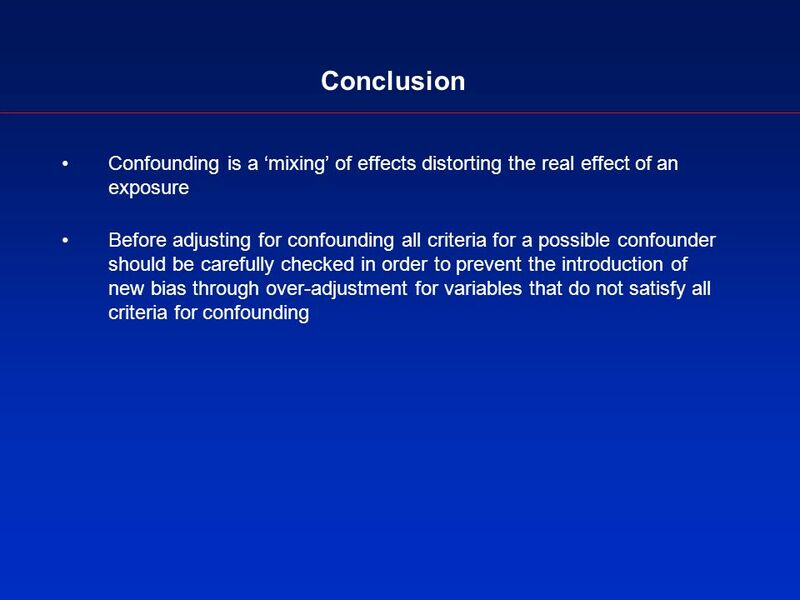 Estimation and Reporting of Heterogeneity of Treatment Effects in Observational Comparative Effectiveness Research Prepared for: Agency for Healthcare. Find the Joy in Stats ? ! ? Walt Senterfitt, Ph.D., PWA Los Angeles County Department of Public Health and CHAMP. Is it possible to predict New Onset Diabetes After Transplantation (NODAT) in renal recipients using epidemiological data alone? Background NODAT is an.